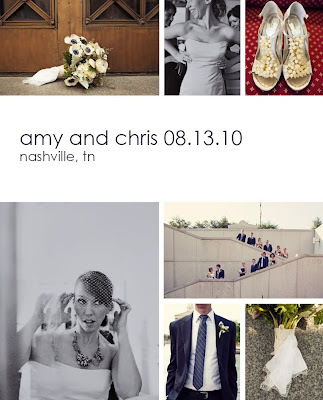 Big Events Wedding: amy & chris's wedding featured on weddings unveiled blog! amy & chris's wedding featured on weddings unveiled blog! we just found out that a wedding we designed and planned back in august is being featured today on the weddings unveiled blog, completely unveiled! we're so excited to share amy and chris's day with you all. we really loved the vintage vibe of this wedding, and photographer caroline fontenot's pictures totally captured that feel. take a look at the feature here, and see below for more details from us on this special day! amy loves anemones and so do we...and so we made them the focus of her bridal bouquet....don't you adore the vintage handkerchief pinned to the base??? we were all in love with amy's custom made necklace and birdcage veil. so old hollywood! amy and chris chose to do cupcakes for their wedding dessert, but kept a little bit of tradition with the small cake topper...great way to mix the old and the new, and that way you still have something to cut! the patterns in light on the dance floor really popped! be sure to check out the feature on weddings unveiled for more info, and caroline fontenot's blog for more pictures (including some portraits in the world famous art deco men's bathroom at the hermitage hotel)! Stunning images! I love the vintage paper balls and aisle markers- too cute!